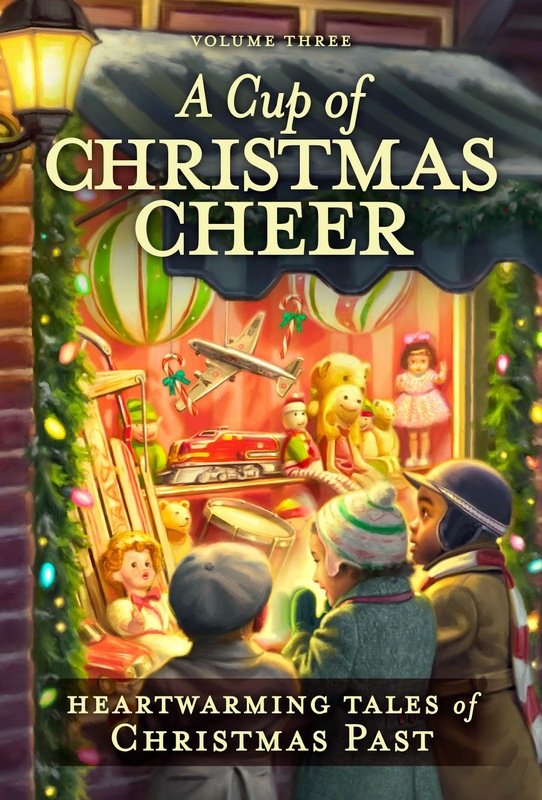 Cross and Cutlass: Win Debbie Lynne Costello's debut book, A Cup of Christmas Cheer! Win Debbie Lynne Costello's debut book, A Cup of Christmas Cheer! WINNER of the Audio Books of The Ransom from last week are: Angi and Stacey (who commented from Goodreads) Congratulations, ladies! I'll be contacting you with instructions on how to receive your audio book! Please welcome today a really good friend of mine, Debbie Lynne Costello. Debbie Lynne and I met online when she sent me a note asking me some questions about writing. I get a lot of those, but something about Debblie Lynne stuck out. She seemed really serious and willing to put in the time and years to become a successful writer. Wow, I think that was 5 years ago! And here she is with her very first published story!! I'm so very proud of her and excited for her! Debbie Lynne and I actually met twice, both times when she and her hubby came out here to California, but she lives in South Carolina and is a huge fan of Charleston. So, I hope you'll take a few minutes and read more about Debbie Lynne and her new book and then leave a nice comment for her in order to enter to win her book. I'll choose a winner next Friday. 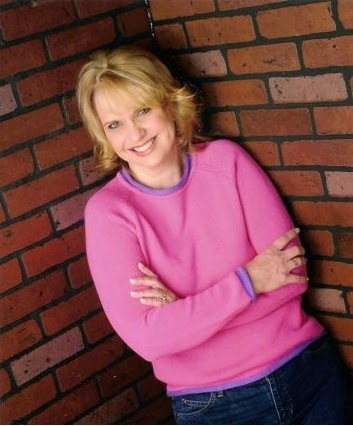 Debbie Lynne has enjoyed writing stories since she was about eight years old. She raised her family and then embarked on her own career of writing the stories that had been begging to be told. She and her husband have four children and two grandchildren and they live in upstate South Carolina. She has worked in many capacities in her church and is currently the Children’s director. Debbie Lynne has shown and raised Shetland sheepdogs for eighteen years and still enjoys litters now and then. In their spare time, her and her husband enjoy camping and riding their Arabian and Tennessee Walking horses. I asked Debbie Lynne some questions. 1. First of all, congratulations on your first publication!! Very exciting. Please share with us about your writing journey. How long have you been writing? How long have you been seeking publication? What is the most important thing you learned along the way? I’ve been writing seriously for about six years now and I started seeking publication as soon as I finished my first novel. My journey really started when I contacted you. You told me to join ACFW and then you connected me with a great editor. You’ve walked with me through this from the very beginning and mentored me. I don’t know that I’d be writing today if God hadn’t led me to you. You’ve been a wonderful friend and prayer partner as well as a mentor. The most important thing I learned along the way, you taught me, MaryLu. And that is that you have to have tough skin in this business and keep your eyes on the Lord. Every rejection is just Him telling you it isn’t time yet. MaryLu: I may have helped you a little bit, but you did all the work, girl! 2. I hear you live in South Carolina and have horses and dogs and a ranch! How long have you been raising horses? And I also know that you breed dogs to sell. Please tell us a little bit about that. We are actually pretty new to horses. We married young by today’s standards. I had just turned 20 the week of our wedding. We were pretty poor and we would talk about our dreams. One of those dreams was to own horses. It took 30 years but here we are with 3 horses—2 Arabians and a Tennessee Walker. We’ve had horses for 4 years now. Yes, I raise Shetland Sheepdogs aka Shelties. I actually have a litter right now. Back before I started writing I used to show them, too. 3. What is your favorite genre to read and your favorite genre to write? Oh that is a hard question! I love writing in the 19th Century Christian romance but I also love writing during the medieval time period. Love those knights! LOL I enjoy reading those 2 time periods about the same too. MaryLu: I'm with you on the knights! 4. I know you've had some personal challenges in your life recently. What things have you learned in your walk with God? You’ve been right there beside me, praying for me these last 2 ½ years so you know that it’s been several challenges that have come before us. Number one thing I’ve learned is that God is faithful. Even when things don’t go the way we want them to, He is still faithful! I’ve learned that He truly does carry you through the tough roads we travel and that no one can love like our God can. Dark Chocolate or Milk Chocolate? Oh Milk Chocolate definitely! City or Country? I bet your readers can guess this one. Country. Book or TV? I rarely watch TV. I probably haven’t watched a whole show in over a month. So it has to be book. Beach or Mountains? That depends on if the beach is in Charleston, SC. I love that city. But the answer would be mountains. I’m not a person who likes any areas that are highly commercialized. Quiet Evening in or Evening out? Quiet evening. Although I do like to go out once in a while and have fun. Like when we went to a corn maze at night. That was a fun time. Coffee or Tea? Tea and I am a tea snob, my daughter tells me. I only drink one brand and I won’t drink tea where water has been chlorinated. If you could go one place in the world, where would it be? I’ve been to Italy and loved Venice. I always wanted to go there because my great grandfather and his brother stowed away on a ship to get to America. But since I’ve been there the other place I want to go to is Scotland. Love those Scots and their accents. Other than Jesus, who is your hero? Living or dead. And why? David because he was a man after God’s own heart. I know he did some bad things, but I would like to meet the man that God would say that about. David was a man that heroes are made from. He did so many awesome things in his life. He was fearless. I mean if I were to write a novel and model him after David people would say, yeah right, there is no way there could be a man like that. If I were to choose someone not in the bible it would be Ronald Regan. I really loved that man. He brought the love of country back to America. He made me proud to be an American. He wasn’t afraid to talk about God or call things as he saw them. I admired that in him. 6. I understand you're considering self-publishing. What prompted you to make this decision? Please share what you plan on publishing and when? Are you excited? Terrified? Yes, I am. There are so many things that prompted me to do this. The industry itself was a big factor. There are a lot of perks to self-publishing. You have more control over your stories, your titles and your covers. I plan on releasing my first self pub book, a medieval, in February of 2015. Am I excited? I am! Am I terrified? More than you know! 7. Tell us about A Cup of Christmas Cheer. Where did you get the idea for the story? What do you hope readers will get out of it? The idea came from a great Uncle who fought in WWII and never made it home. I thought about his widow and children. The story evolved on its own from there. The story is about forgiveness and reconciliation. I hope that my story will open hearts and make people want to restore broken relationships. 8. Where can readers find the book? https://www.shopguideposts.org/christmascheerblog And where can readers find you? she goes for a visit only her father-in-law seems to be interested in mending fences. But as the days pass mother-in-law and daughter-in-law learn a little about themselves and the true meaning of forgiveness. Inside this book are 8 contemporary stories and 8 historical stories. Debbie Lynne's is one of the historical (obviously) She is giving away the entire set!! Isn't that generous? Please leave a comment for Debbie Lynne and your email address and I'll enter you to win the book! Check back next Friday to see if you won! LEAVE A COMMENT WITH YOUR EMAIL AND I'LL CHOOSE A WINNER NEXT WEEK! MaryLu! Thank you so much for having me on your blog today! I am super excited to chat with everyone. Hey Dana! Thanks for coming by. I hope you get a chance to read all the fun stories in A Cup of Christmas Cheer. A lot of wonderful authors! Great book to curl up in front of the fireplace with a cup of your favorite holiday hot beverage. Merry Christmas! Thank you, April. I hope you get a chance to read not only my story but all the wonderful stories in CoCC. There are some awesome authors represented in the book! Thanks for coming by, Debra. Good Luck. Thank you for the interesting interview, Debbie and MaryLu!! I'm thrilled to learn more about Debbie and her writing journey, I've read so many wonderful comments about Debbie, personally, and I loved "The Letter". Such a heart-warming story and I loved the unexpected ending - following the story's message of forgiveness is necessary for the closest relationship with God. 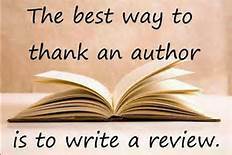 I already have the volume of A Cup of Christmas Cheer containing Debbie's story - having won it from another blog post - and have submitted a review. But would love to give a copy to one of 3 friends who have numerous serious health issues or one having an issue with forgiveness in his/her family. Congrats on "The Letter", Debbie!! I'm looking forward to reading your Feb. release!! Oh Bonnie! I am giving away the set on MaryLu's blog so you could win the contemporary book, too! Thank you for your sweet words about my story. I'll be looking for Beta readers for my Medieval in February. 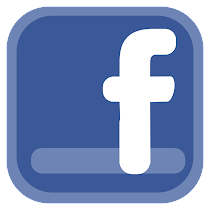 If you are interested make sure we are friends on FB so you'll see my announcement. Thanks so much for coming by and helping me celebrate!! Oh my gosh! Debbie, you seem like such a kind genuine person, as well as a determined talented writer. You remind me of my mother. (whose name is also Debbie) It's ironic, really. She LOVES shelties and has one that is thirteen years old! (they live long healthy lives) Not only that, but she loves tea and drinks at least three cups a day! haha She's also quite a reader (much like myself) and I bet she would love your books just as much as I know I would! God bless you, Debbie! Hey Mary! Thank you so much for coming by. Your mom and I sound like we could sit and talk for hours over a cup of tea and a sheltie laying at our feet (I have one there right now). I hope you get a chance to read THE LETTER and the other wonderful stories in A Cup of Christmas Cheer. Good Luck! And thank you again for helping me celebrate this debut story. Congrats, Debbie, on your first published book! Would live to read it. Thanks for coming by, Betti! And thank you! It has been a thrill getting published. I hope you do get a chance to read CoCC. Good Luck! What a great giveaway! Christmas up is in the air! It is, Melanie! We've even had the, brrrrr, cold weather to help welcome the Christmas Season in! Woke up the last 2 morning to 25 degrees and that is in SC! Have the fire on right now to keep warm. :o) But tomorrow is going to be 61 so back to reality. LOL> Good luck! WWII was such hard time for many, many people, but it's a really interesting time to read about! Thanks for sharing with us Debbie & Marylu! Merry Christmas! Merry Christmas RW! Some of the stories that came out of WWII are heart breaking.A few of the stories my grandmother told have stuck with me. Wars are so hard on not only the soldiers but the people they left at home. Thank you for coming by and celebrating! Good luck! MaryLu asked some awesome questions! Thanks for coming by. What a great interview, Debbie! It sounds like God is moving you in a different direction with self publishing. I pray it will all work out for you! How exciting to be working with horses. My daughter loves them. Where in SC do you live? My family and I lived in Greenwood for five years, then in Easley for a little over a year. I loved Greenville, it was such a pretty city. The only thing I didn't like, the TRAFFIC! We moved back to SD in May. I have family and friends here, plus we missed the Midwest. I had a lot of family that served during WWII-father, grandfather, great-uncles. When my mother-in-law was a child she was in a Japanese encampment. It was a very difficult time for everyone. I wish I knew some of the history when my family served. We do have my grandpa's pictures from that time. It is a treasure to have. Thanks, MaryLu, for having Debbie on your blog. Merry Christmas to you! Hey Regina. I live in upstate close to NC. Do you know where York or Rock Hill is? We live north of there. We live in the country so not much traffic. That is so sad about your mother-in-law. It was a tough time for everyone. Debbie, Congratulations on your story in A Cup of Christmas Cheer. I love reading Christmas stories and have been reading quite a few this Christmas season. How exciting that you're embarking a new chapter as an author. I look forward to being able to read your books in the future! Merry Christmas Debbie and MaryLu! Thank you, Angi. I hope you have a chance to read the stories in CoCC. It has been an exciting time with my first published story! And I'm looking forward to getting my medieval out. I can't wait to give a sneak peek of my cover. It is beautiful!! Kay!!!! Thanks for coming by! Yay! Another tea drinker. There is nothing like a hot cup of tea. Now, combine that with shortbread or biscotti and I'm in heaven! lol. Oh yes! internet has made life so much easier in so many ways. I did part of my Christmas shopping online and didn't have to fight the crowds. It's so encouraging to me that you are looking forward to my new release. Thank you! That sounds like a really nice book too.